This morning it was freezing. So after a surf I went to Tallwood and did a sketch. Back in pattern I hope. 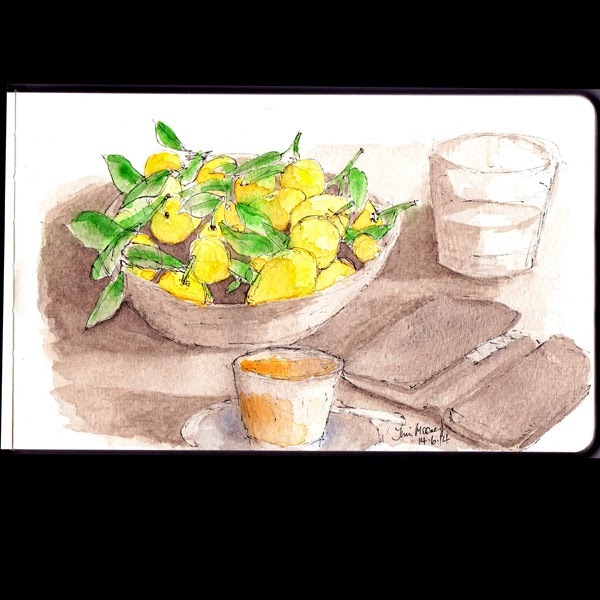 A coffee e (Piccolo) a glass of water, my phone for perceived emergencies, a bowl of mandarines and my moleskin watercolour. Go ahead. And I did. ANZOL factory , Mortlake, NSW. Sketching at the University of Qld St Lucia.